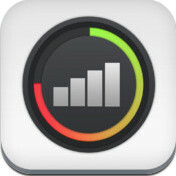 Data Counter (iPhone) - Track your data and wifi usage ~ Android Forever! Remember when "unlimited data" meant you could use all the data you wanted? Today it means you can use up to a limited amount and if you go over we'll throttle the heck out of your bandwidth so you think you've time-traveled back to 2G! What's worse, many of us don't want to spring for even that definition of unlimited, so we have to stay within the limit we bought or face ridiculous charges for the amount we go over. Geez. So the bottom line is that we have to keep track of the data we're using. Hence this app for only 99 cents (for a limited time), which is a bargain if it saves you the monetary pain of excess use charges. Developer Quote: "Avoid overage charges and take control of your data plan. 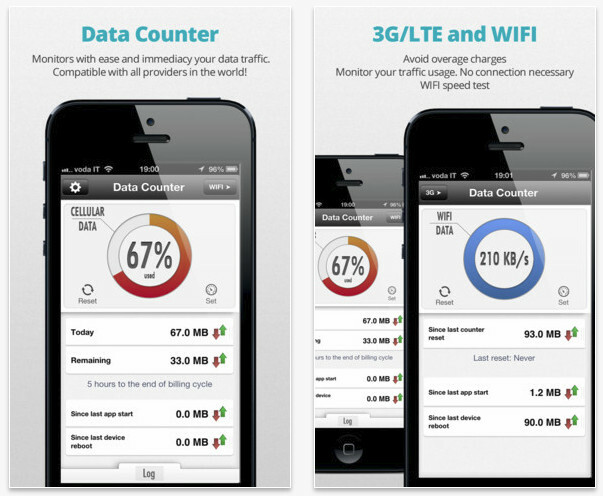 Data Counter is the most powerful and immediate means of verifying your internet volume usage, compatible with all providers in the world!" Data Counter works with all providers as it recovers the necessary information straight from the device, not from the mobile portal. It supports daily, weekly, monthly and bimonthly plans. Set up your plan and launch the app to see your cellular data usage and Wifi. Compatible with 3G and LTE networks. No connection necessary. The program can be used even when you're not connected to the network since it doesn't need any information from the internet. This saves data that would have been used to get the information from the mobile portal (a few megabytes). Mobile provider portals are not updated in real time. Data Counter, using the data info generated from the device, is always precise and up-to-date. Click the icon below to get it from iTunes!